Academician Kirill Ilich Zamaraev is an outstanding scientist-chemist, eminent organizer of science, a talented teacher, supervisor of research in SSC "G.K.Boreskov Institute of catalysis of SB RAS". K.I.Zamaraev was born on May, 20th, 1939, in Moscow in the family of the known Soviet engineer-chemist. Having begun the vocational training in Mendeleyev Moscow Institute of fine chemical technology, K.I.Zamaraev has passed then to Moscow physicotechnical institute (MIPT), so that he could seriously engage in chemical physics. In 1966, he has finished the postgraduate study in MIPT and has maintained a thesis on the scientific degree of the candidate in physics and mathematics. From that time on, K.I.Zamaraev worked in the N.N.Semenov Institute of chemical physics and occupied the positions of junior and senior research assistant, then the Head of the laboratory and at the same time, he taught in MIPT as a senior lecturer. In 1972, he has protected the Doctor's dissertation "Study of the structure and reactivity of complexes of transition elements by electronic paramagnetic resonance" in chemistry in the speciality "physical chemistry". In early 70s, academician N.N.Semenov has engaged him in the study into photocatalytic transformation of solar energy. 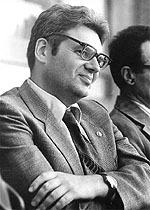 In 1974-1975, K.I.Zamaraev was engaged in the research work in the USA in Cornell and Stanford universities, and in the Chicago universityas well. He was among the first Soviet scientists who was invited to America for a long-term work within the scientific exchange program between the USSR and the USA in the field of chemistry. In 1976, K.I.Zamaraev has been elected the corresponding member of the USSR Academy of science. 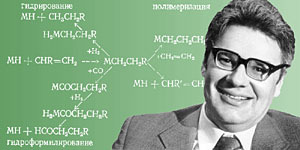 In early 1977, K.I.Zamaraev has moved to Novosibirsk on the invitation of academician G.K.Boreskov with a big command of young experts in chemical physics, and he expanded considerably the research of elementary catalytic reactions at a molecular-atomic level that was conducted in the Institute of catalysis by application of modern physical and kinetic methods. Since 1977, K.I.Zamaraev held the position of the deputy director of the Institute of catalysis SB AS USSR, and since 1984, he headed the Institute of catalysis that was granted the status of the State scientific centre in 1994. Since this moment and to the last days of his life, K.I.Zamaraev was its scientific supervisor. In 1987, K.I.Zamaraev has been elected the full member of the Academy of sciences of the USSR for his outstanding scientific achievements. K.I.Zamaraev has spent much efforts and energy to create the new organizational forms of interaction between the science and industry. Since 1986 to 1992, he headed the “Catalyst” interdisciplinary scientific and technological complex. The work of the ISTC was of great influence on the staff of the Institute of catalysis, on its ability to work with the commercial manufacturers. His last years, academician Zamaraev took an active part in the reorganization of the system of the national science and in its adaptation to the conditions of market economy. Kirill Ilich played the leading part in creating of a broad network of the State scientific centres of the Russian Federation that were aimed, together with the Russian academy of science, to support the fundamental scientific potential of Russia. Being the prominent leader of experts-cataliticians in the Russian community, academician Zamaraev conducted a great scientific and organizational work, he was the chairman of Scientific Council in catalysis and its commercial use, of the United Scientific Council on chemical sciences of SB RAS. K.I.Zamaraev took an active part in preparation of the scientific staff. Since 1977, he was the professor and the head of Sub-faculty of physical chemistry of NSU. The international recognition of scientific merits of K.I.Zamaraev is confirmed by his election as the member of the Europe Academy, a foreign member of Indian and Korean Academy of science, the editor of the international scientific magazines. Professor Zamaraev was the editor-in-chief of the international magazine "Reaction Kinetics and Catalysis Letters", the editor of"Journal of Molecular Catalysis", a member of editorial advice of many magazines:"Catalysis Reviews", "Catalysis Today", "Catalysis Letters", "Topics in Catalysis", "Chemistry - A European Journal", "Mendeleev Communications", "Chemistry for Sustainable Development", "Kinyetika i kataliz", "Uspyekhi khimii", "Izvyestiya Akadyemii nauk", "ZHurnal strukturnoi khimii" etc. In 1994-1995, K.I.Zamaraev held the position of the President of International union of pure and applied chemistry (IUPAC), the society that joins together chemists of the entire world. In 1994, he was granted Silver medal of the Royal chemical society of Great Britain as an outstanding lecturer of the present time. In 1995, K.I.Zamaraev has been pointed out by a prestigious German award for the Russian scientists, Karpinsky medal, for his works in the field of ecological catalysis. To memorize the outstanding Russian scientific physico-chemist, academician K.I.Zamaraev, the International charitable scientific fund named by K.I.Zamaraev has been found in Novosibirsk with the aim of finding a financial support for the Russian scientific youth that is engaged in the research in the field of chemical catalysis and physical chemistry. The basic resources of the Fund are used to support K.I.Zamaraev's postgraduate grants, premiums, and grants named by him for the young scientists that are awarded on a competitive basis. Since 1998, more than 100 young researchers became grant-aided students of the Fund. Presidium of SB RAS founded the premium named by academician K.I.Zamaraev for young scientists for the research in the field of application and development of physical methods in chemistry. The grant named by K.I.Zamaraev that is founded by the management and the Academic Council of Institute of catalysis is awarded annually for students and post-graduate students. * The source: Parmon V.N. Akadyemik Kirill Il'ich Zamarayev (1939-1996) // KHimichyeskaya fizika. - 1996. - T.15, N 9. - S.157-159. Dokumyent izmyenyen: Wed Feb 27 14:46:56 2019. Razmyer: 14,295 bytes.